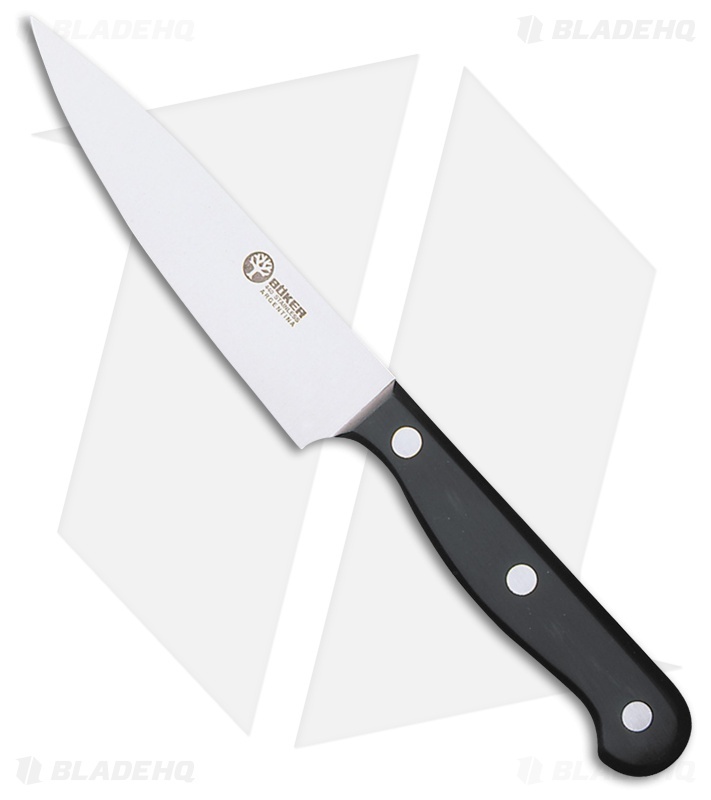 The Boker Arbolito Australian steak knife with 5" satin stainless steel blade and black delrin handle is a worthy addition to any cutlery drawer. 440A stainless steel blade for easy maintenance and excellent cutting performance. Dishwasher safe black delrin handle contoured for added comfort. Pinned construction ensuring years of reliable use.